In this article we are going to cover some important things, you need to know about system requirements, configuration and scenarios for planning and running SharePoint Server 2016. – MinRole feature. With the help of this new feature SharePoint farm administrators can now define each server’s role in a farm topology. When you select a role, SharePoint automatically configures the services on the chosen server based on the respective server role. – Standalone Farm Installations. The option for a standalone installation on a single server is no longer available in SharePoint Server 2016. The SharePoint administrators now must separately install and prepare Microsoft SQL Server to be included as a SharePoint Single-Server Farm. To upgrade from SharePoint Server 2010, you should first upgrade to SharePoint 2013 and then to SharePoint 2016. To upgrade SharePoint Server 2013 to SharePoint Server 2016, you need to make sure that you first upgrade the SharePoint Server 2013 Site Collections that are still using SharePoint 2010 mode to SharePoint 2013 mode. 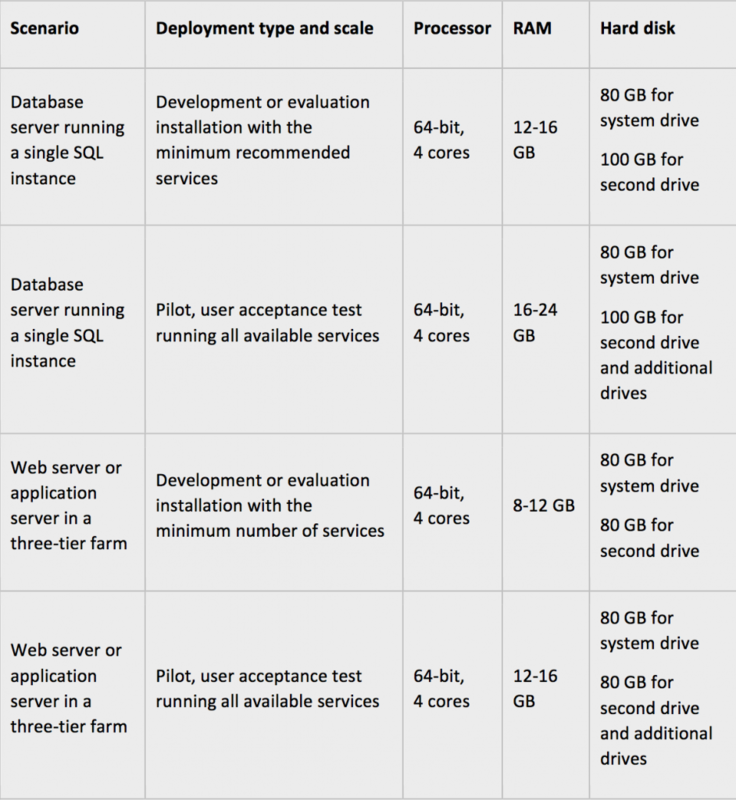 Create a SharePoint Server 2016 farm. Copy SharePoint Server 2013 content and service application databases. Attach the databases to SharePoint Server 2016 farm.